I finished my jewelry projects then Christmas came and I made some presents. It was a busy holidays and I didn't have time to take photos of the finished hats I made. 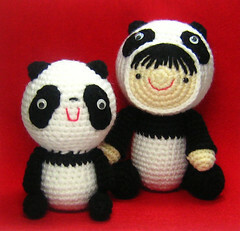 This year, I started off by finalizing the re-written bunny and panda crochet patterns I thought I had finished in November. The old version of this pattern were written by me in 2007.